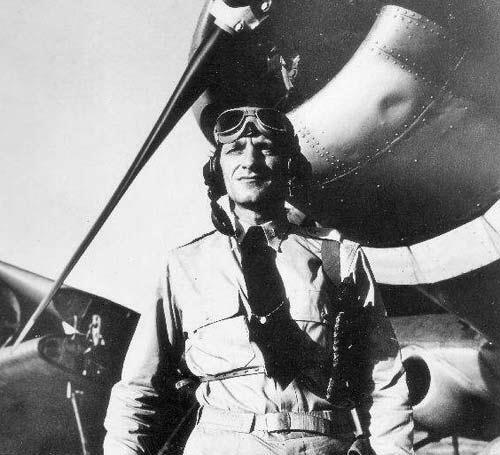 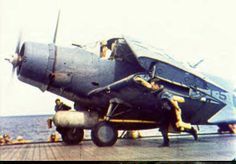 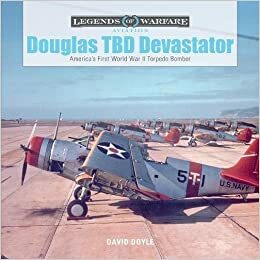 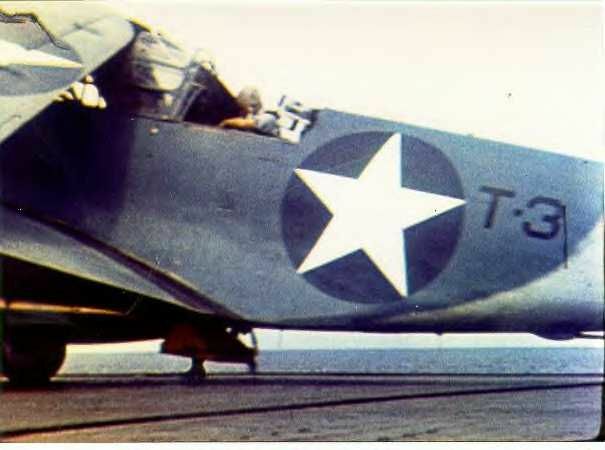 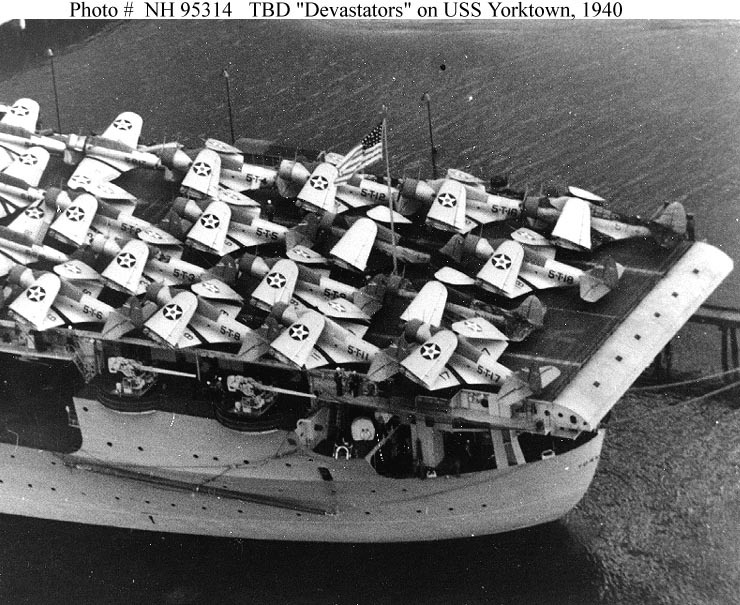 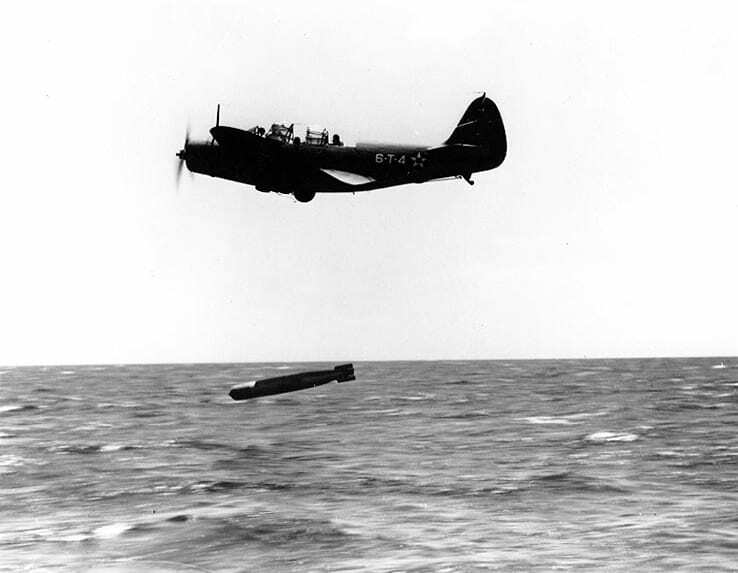 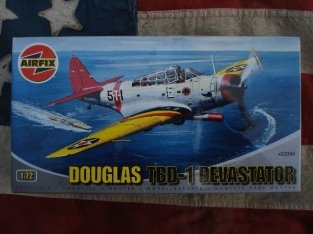 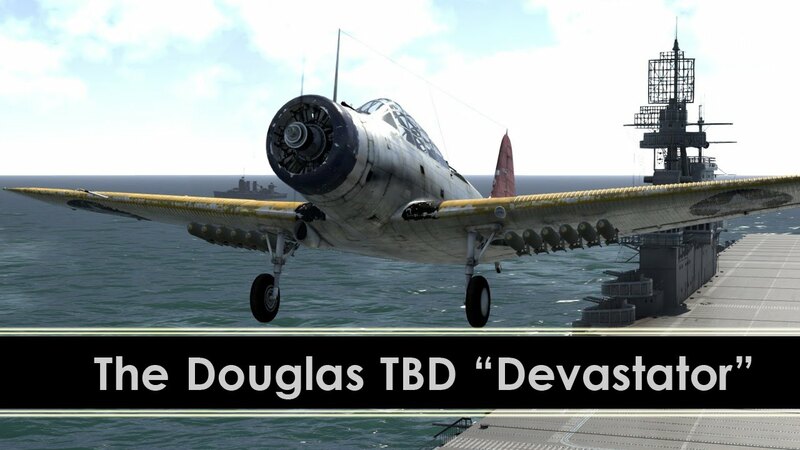 Douglas TBD Devastator, Aircraft #3 of Torpedo Squadron 8 aboard the aircraft carrier USS Hornet (CV-8), May 1942. 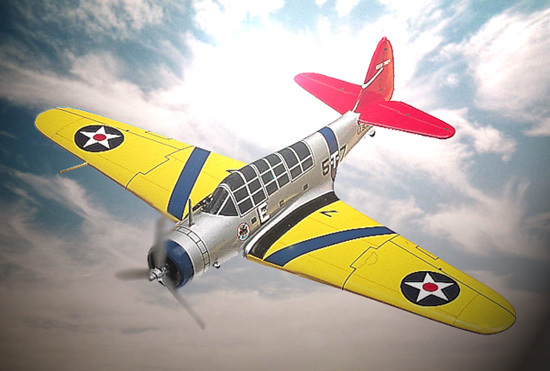 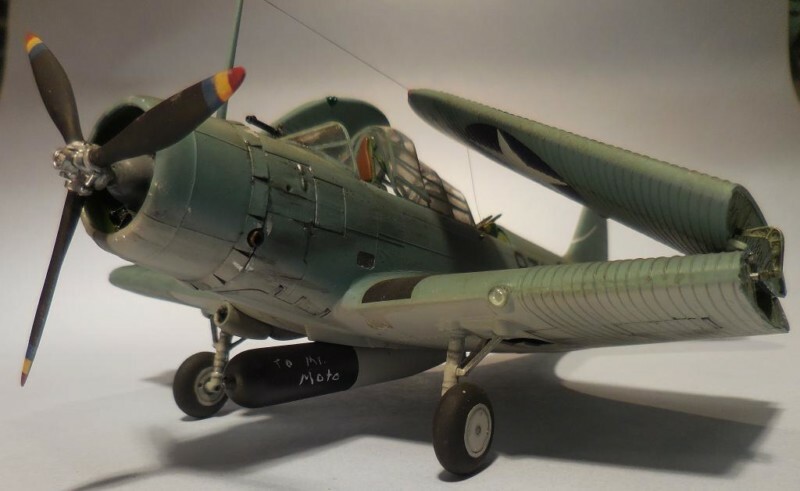 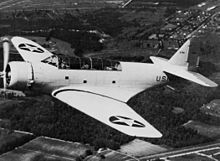 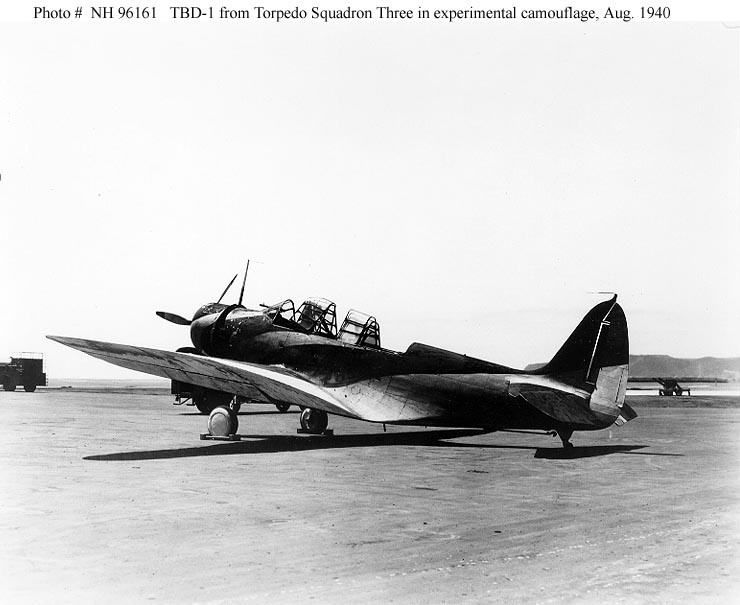 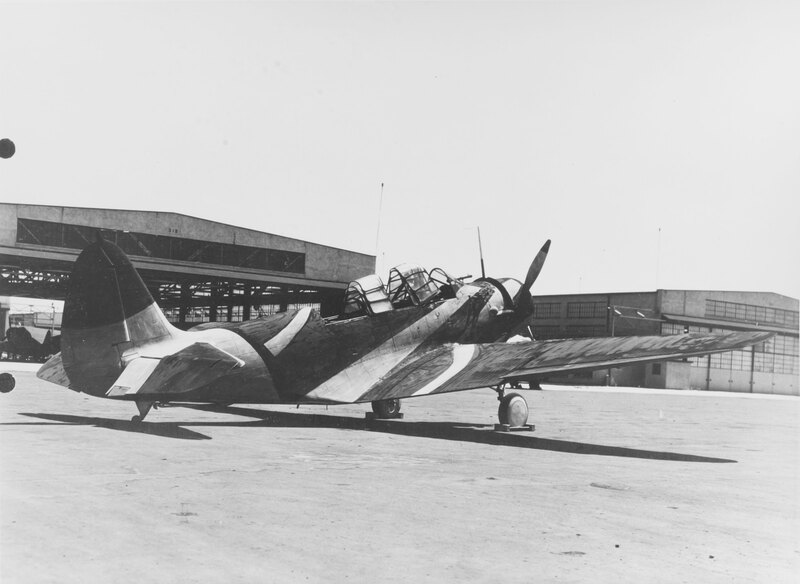 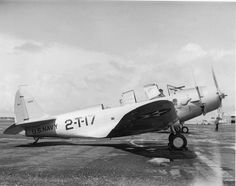 Douglas TBD-1 of Torpedo Squadron Three (VT-3) At Naval Air Station, North Island painted in McClelland Barclay experimental camouflage design number 7. 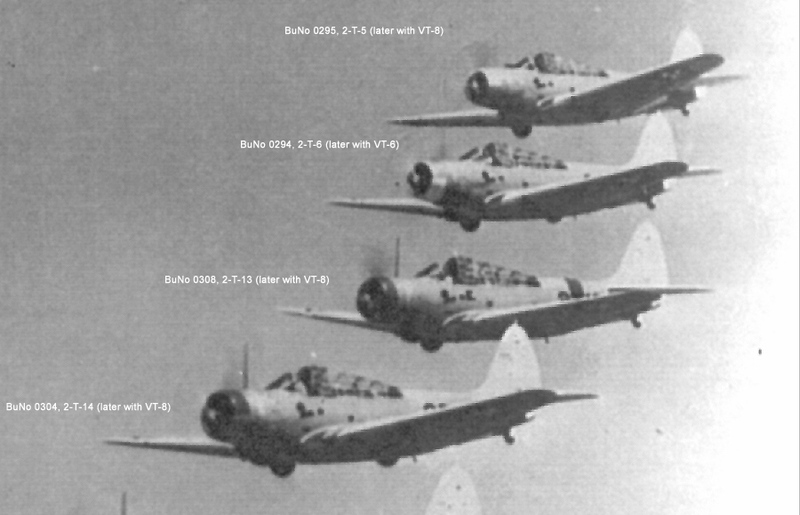 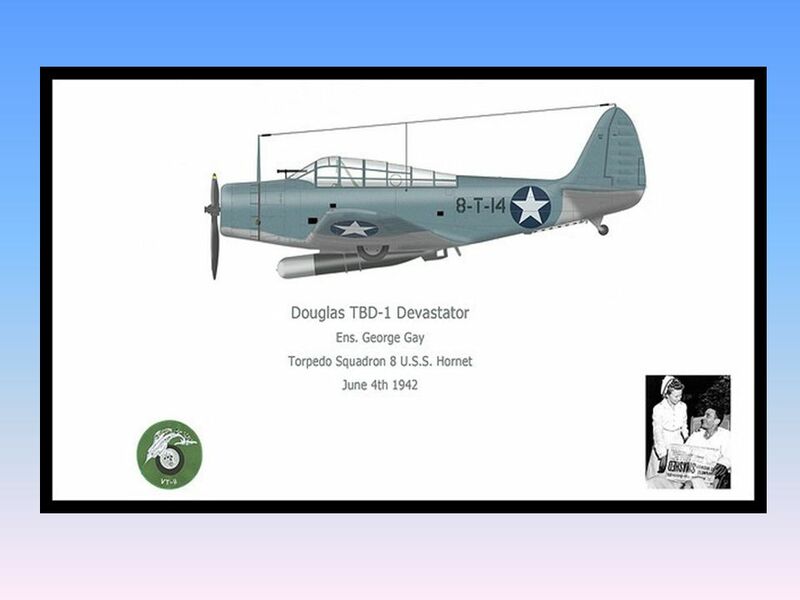 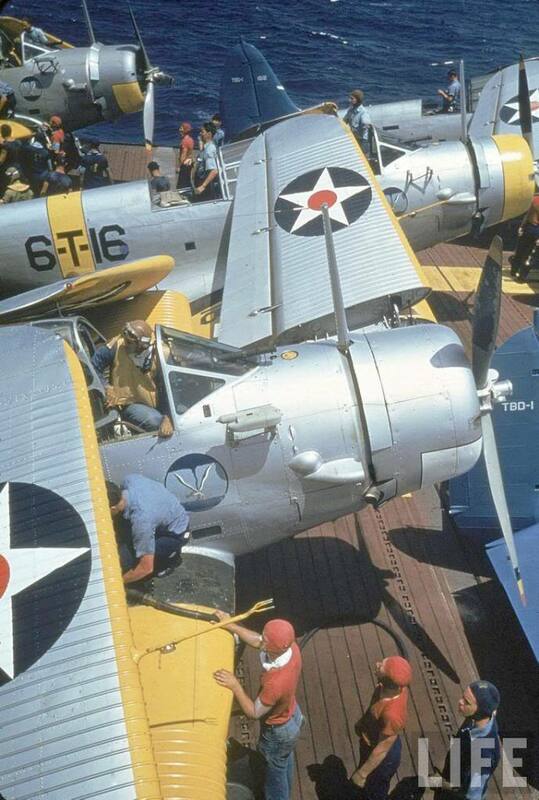 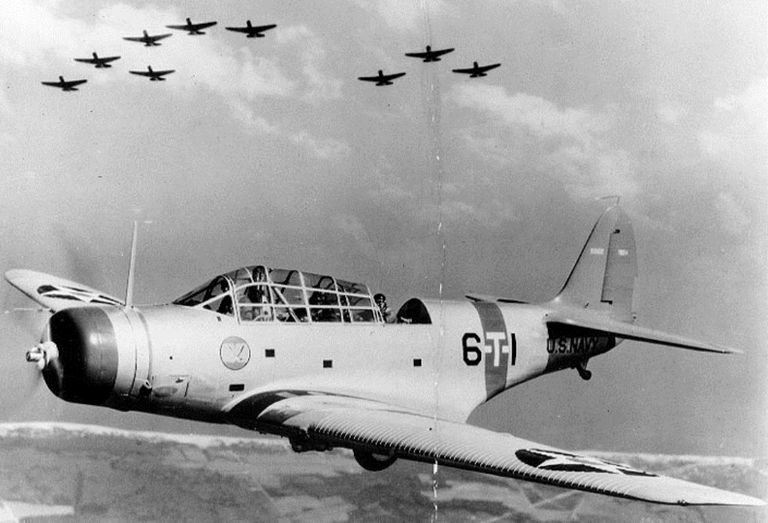 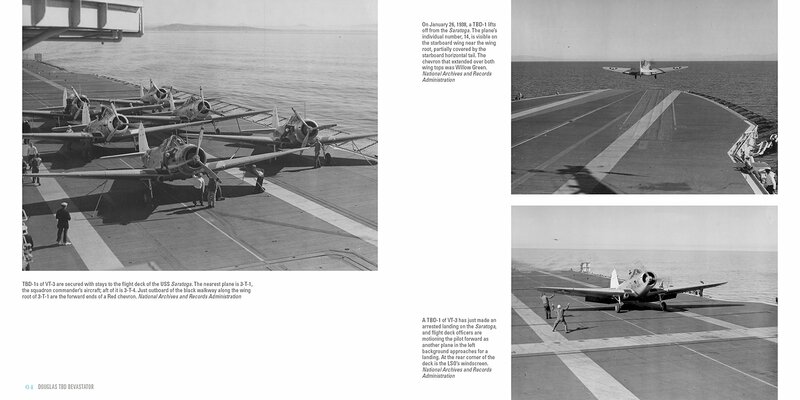 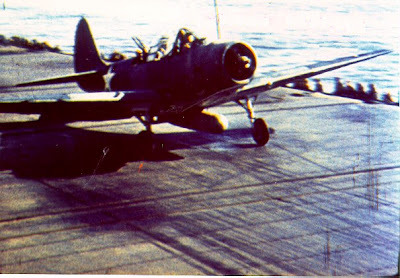 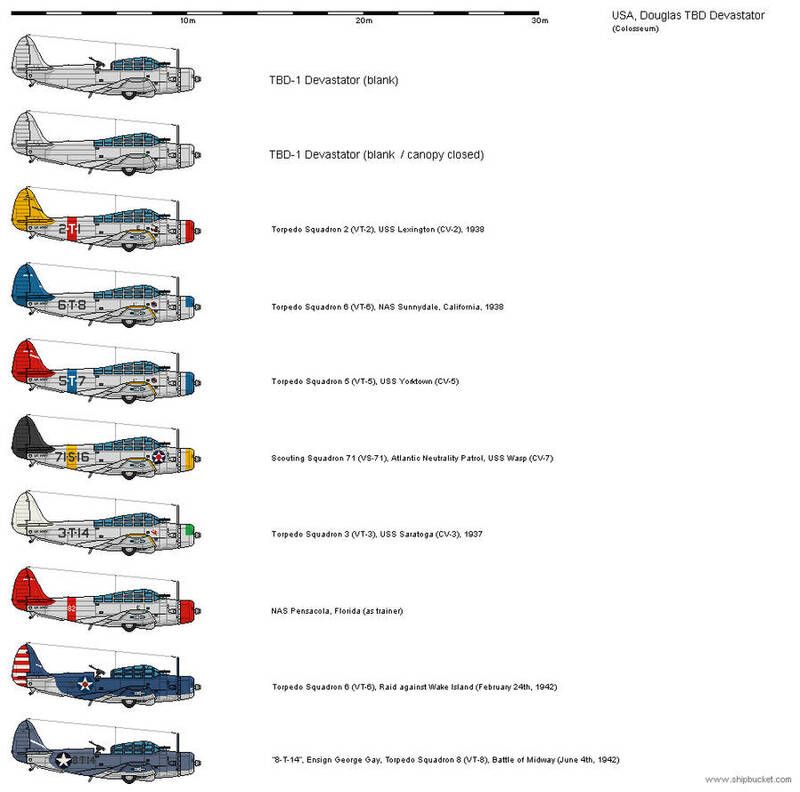 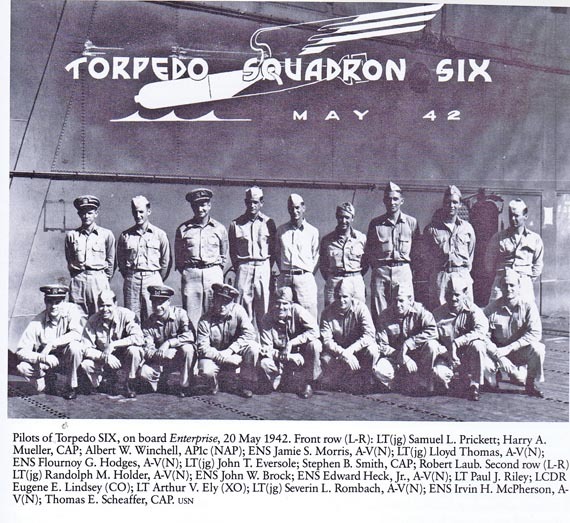 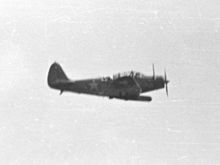 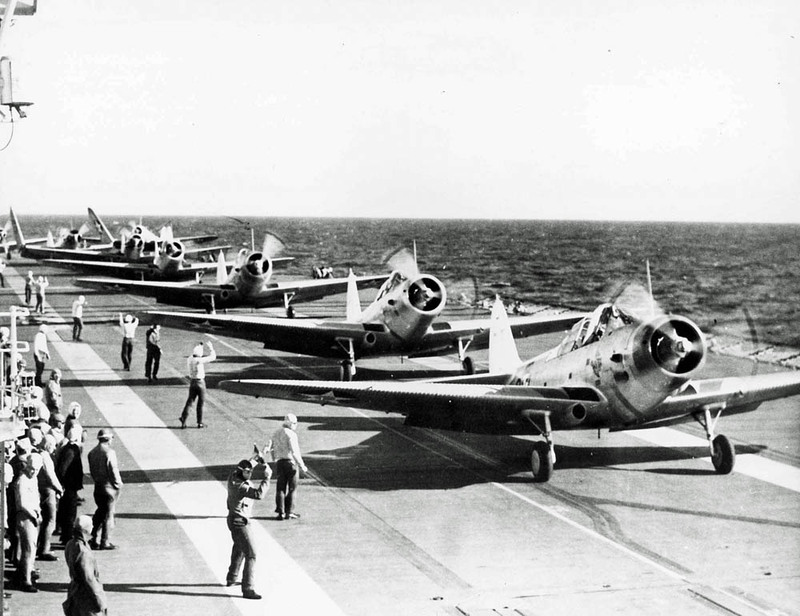 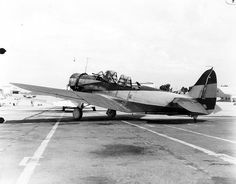 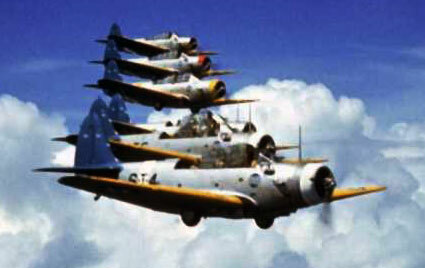 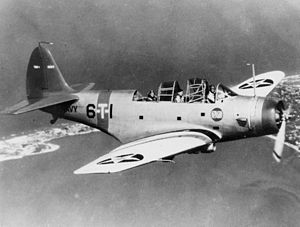 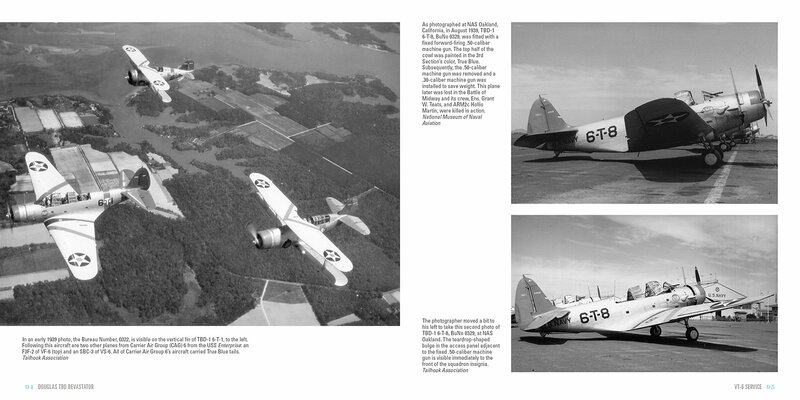 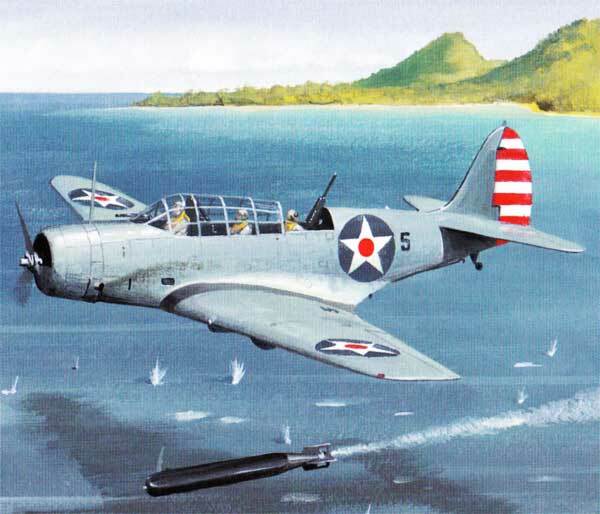 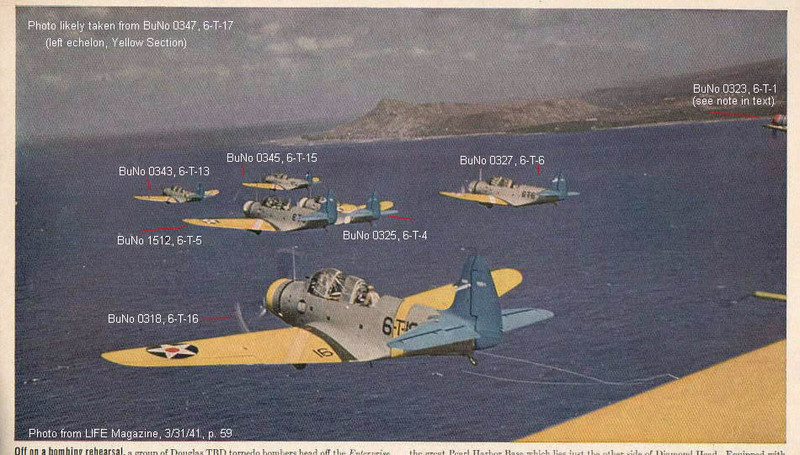 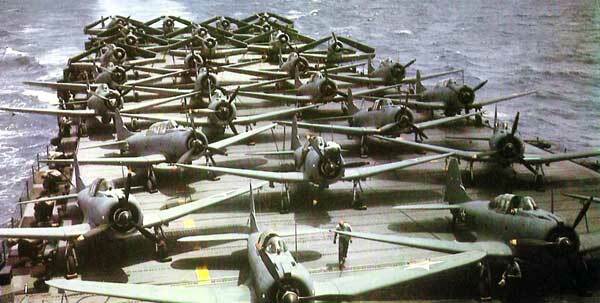 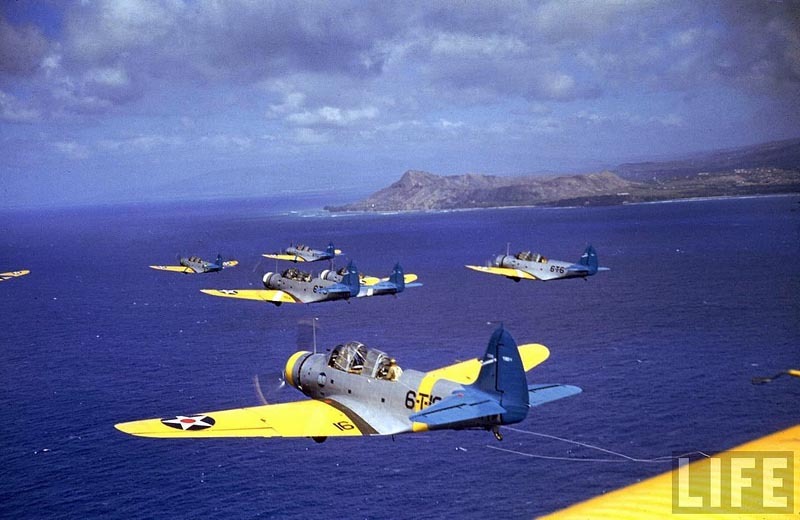 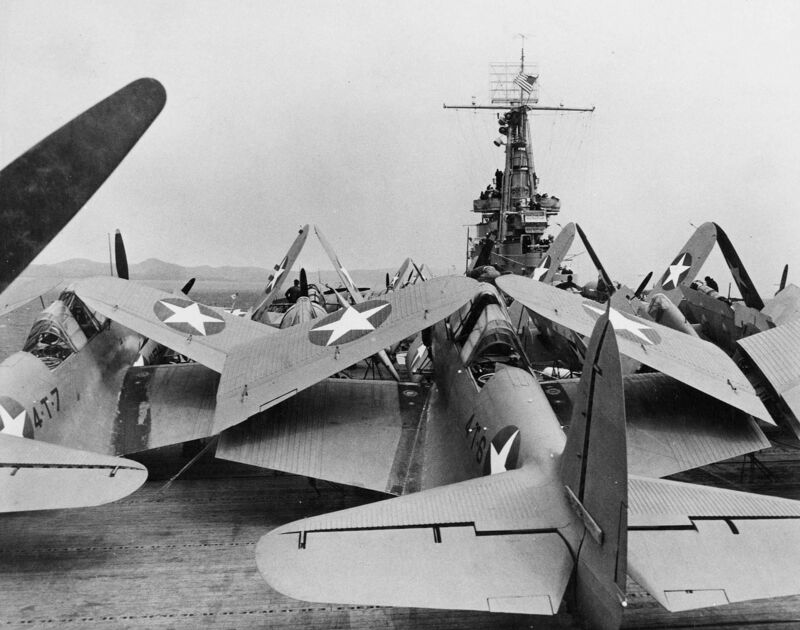 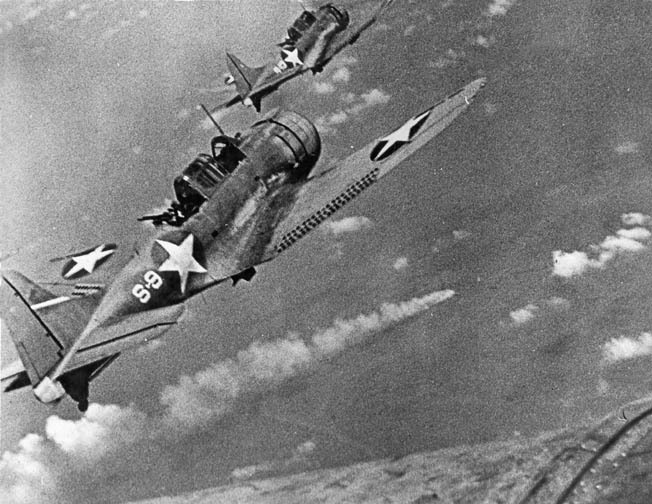 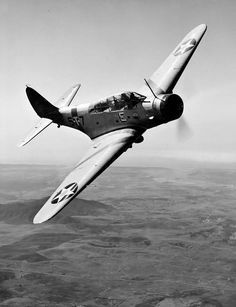 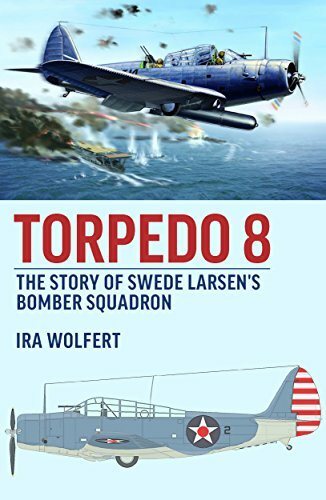 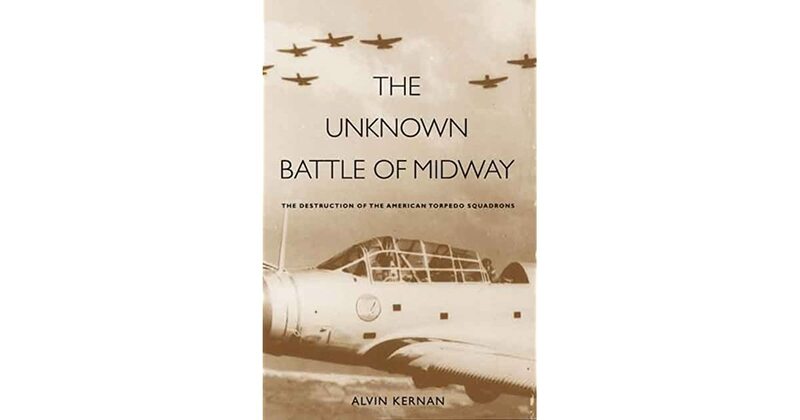 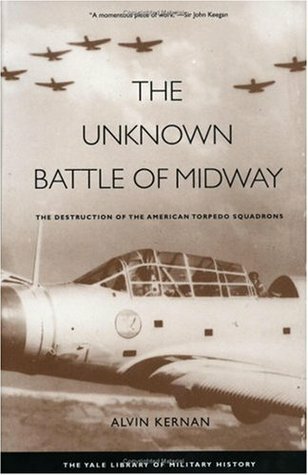 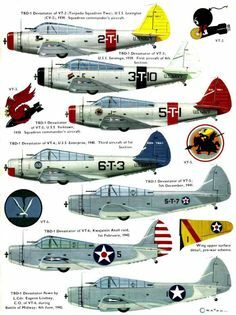 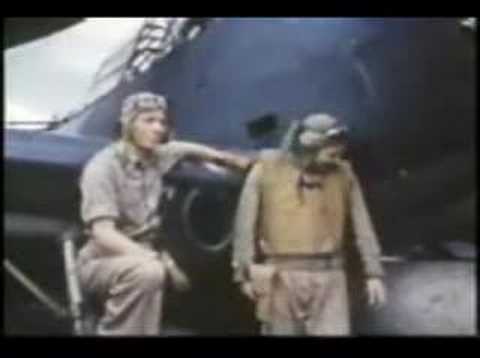 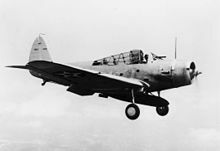 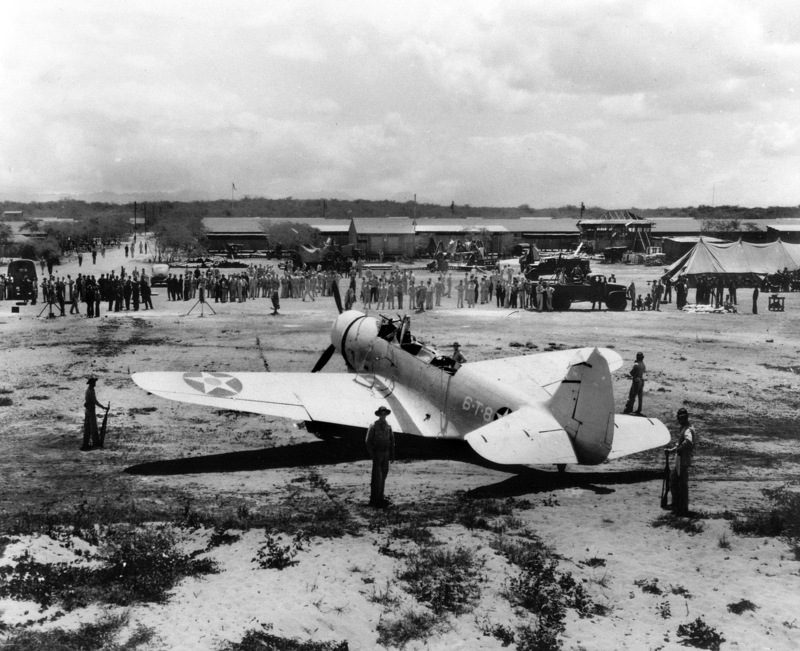 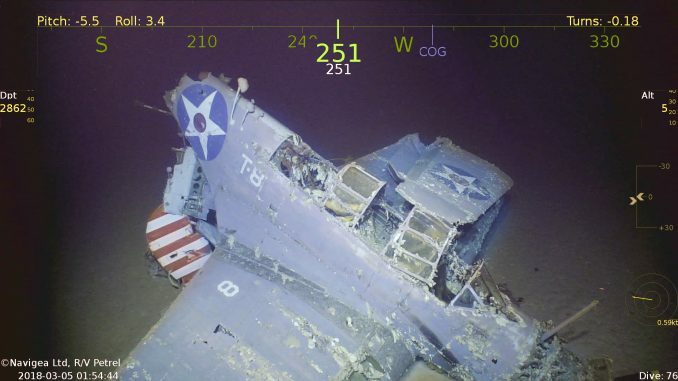 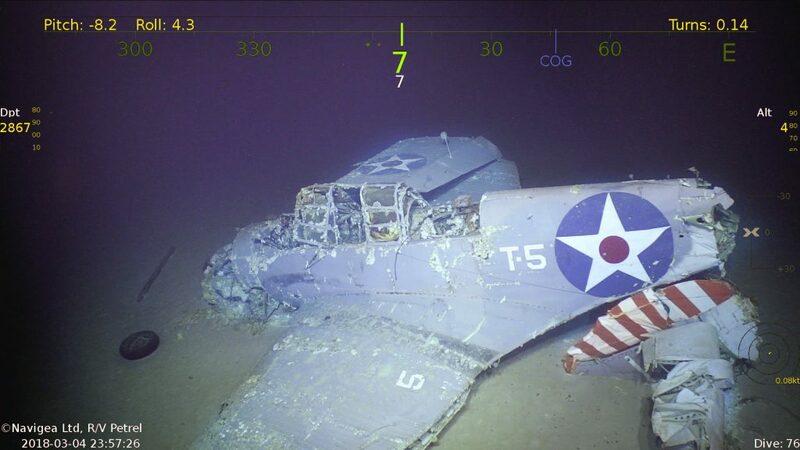 Two U.S. Navy Douglas TBD-1 Devastator from Torpedo Squadron VT-7 before . 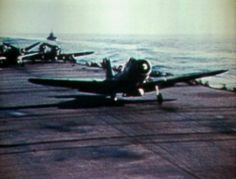 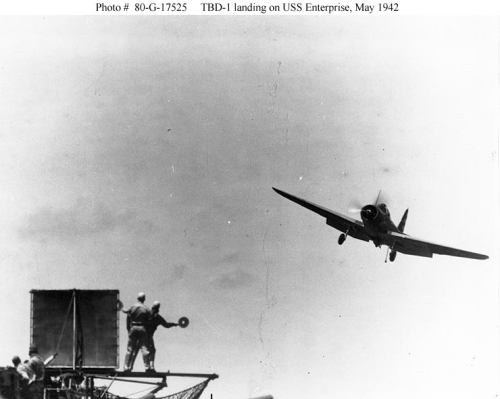 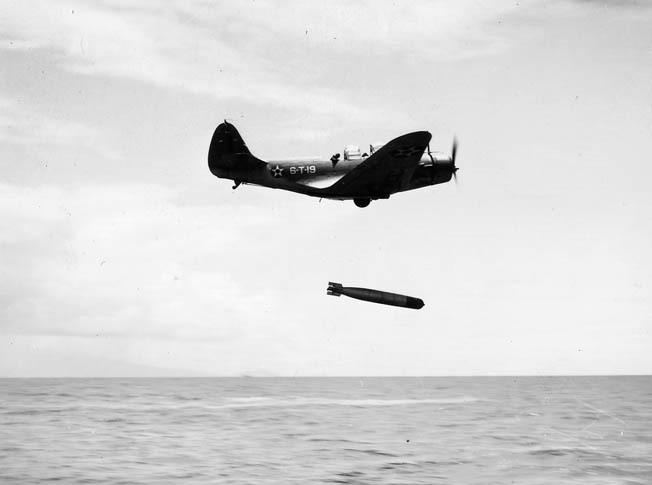 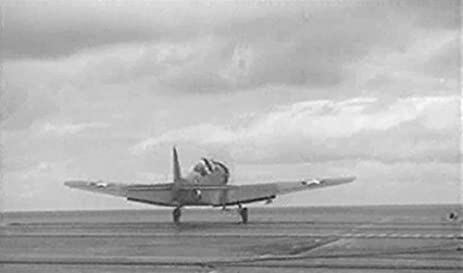 A U.S. Navy Douglas TBD-1 Devastator from Torpedo Squadron VT-8 taking off from the aircraft carrier USS Hornet (CV-8) in May 1942. 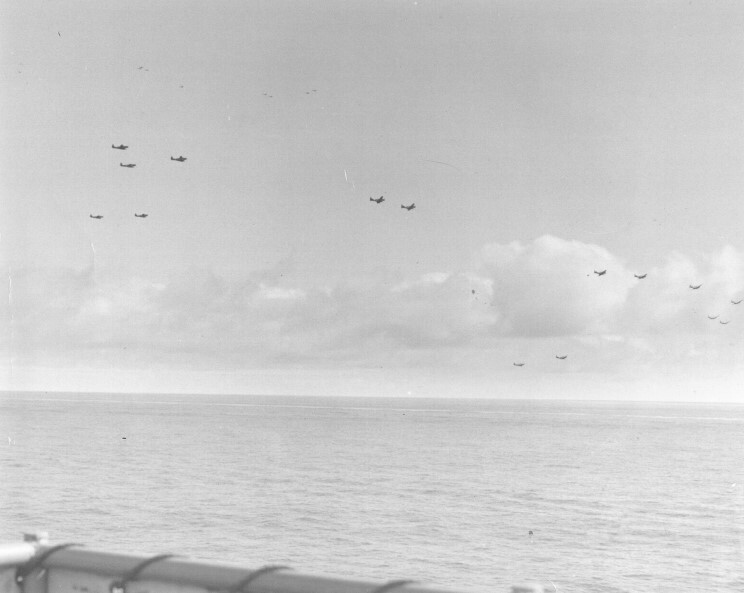 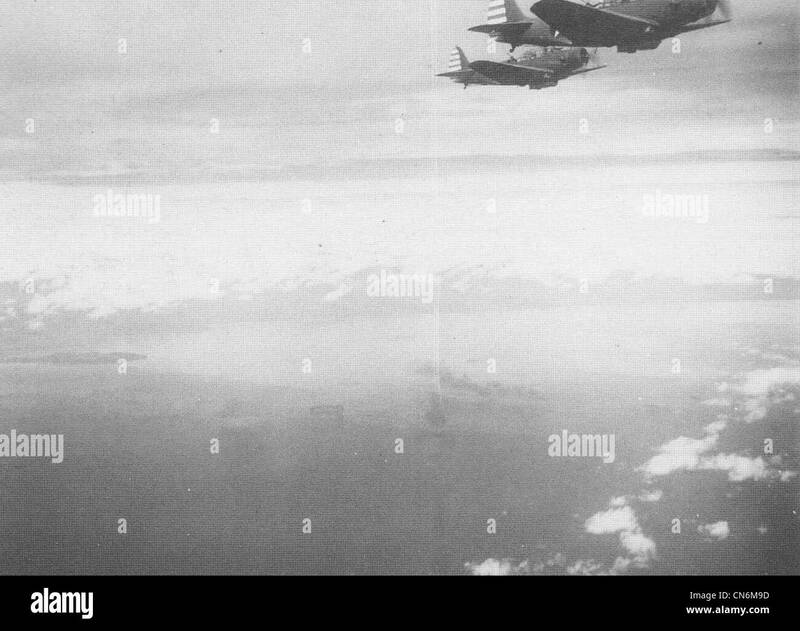 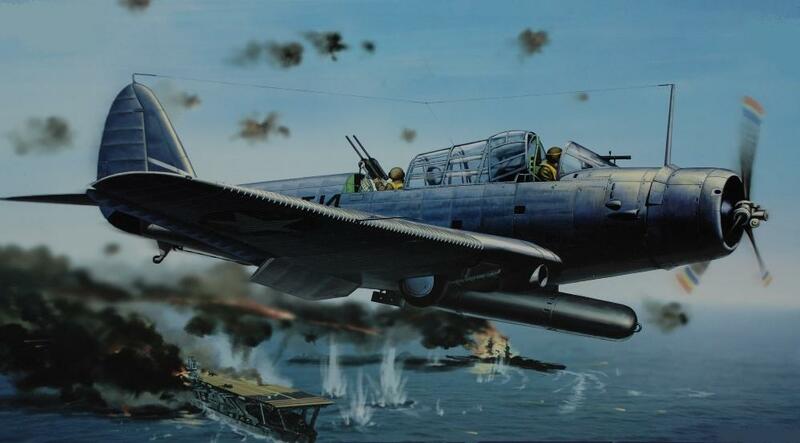 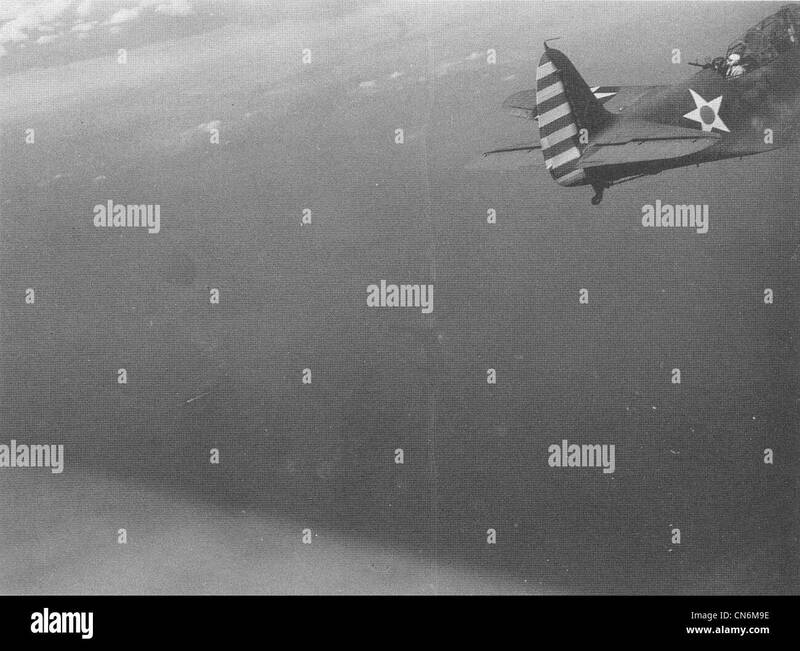 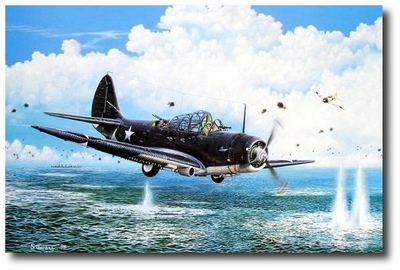 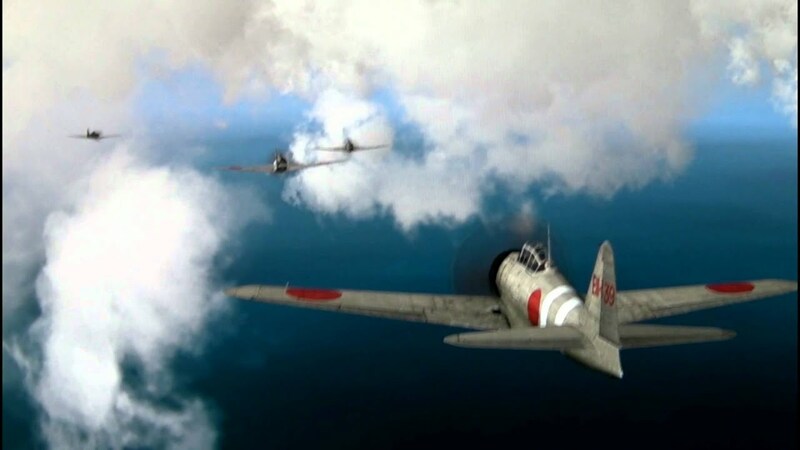 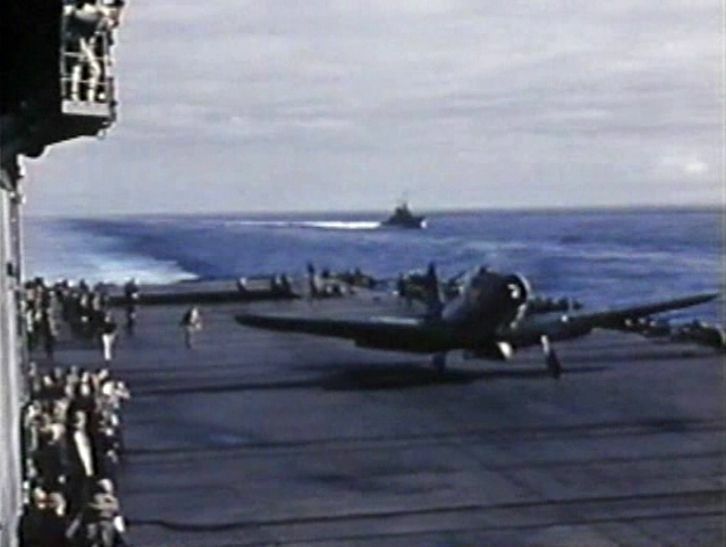 Date M..
... the largest being a picture of the entire squadron passing over Hornet on the way to attack the Kido Butai on 4 June 1942 shortly after 9 AM local time. 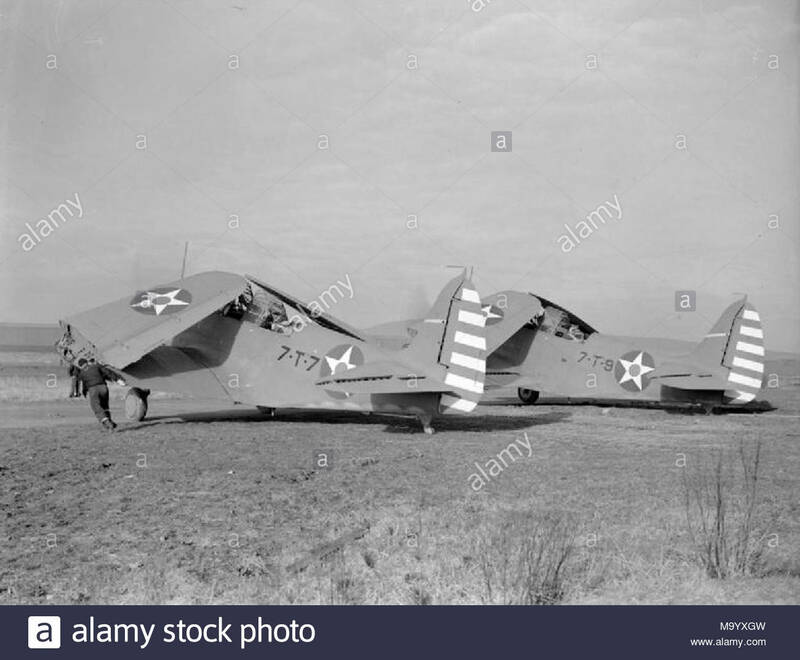 and a yellow wings along those lines would be great too.